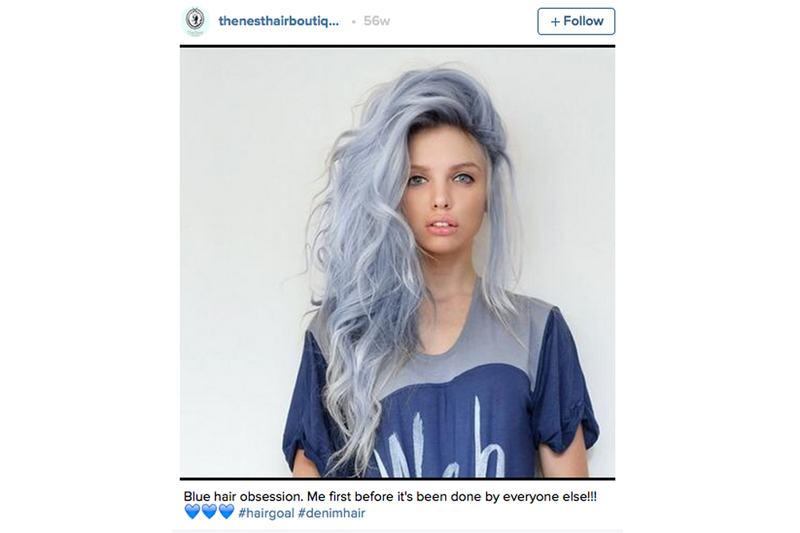 New Obsession: Denim Hair. The dyeing technique modelled on your favourite jeans. Conventional wisdom dictates that jeans go with everything. EVERYTHING. 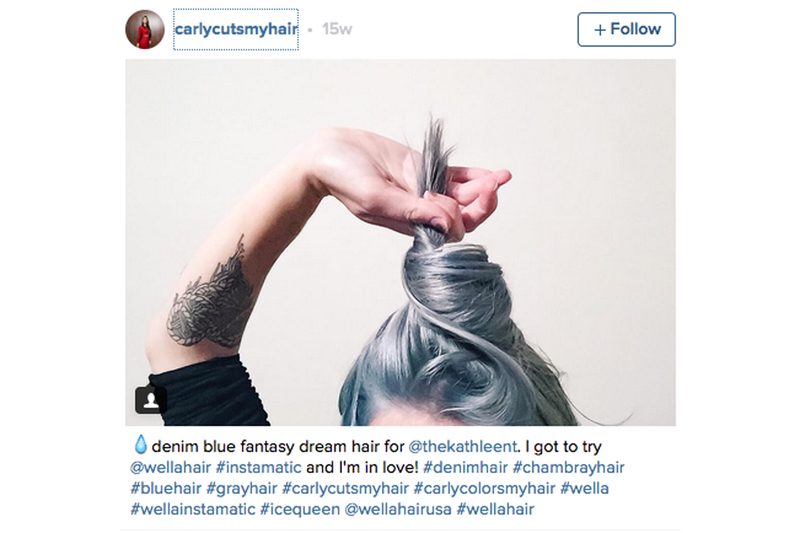 So why not make your hair look like your favourite denim cut-offs? Eh? Sure, in principle, dyeing your hair to resemble your trousers sounds like a truly terrible idea. And dyeing your hair blue sounds dramatic, like something you might do for Halloween or during a time of crisis (as a physical manifestation of your sadness). 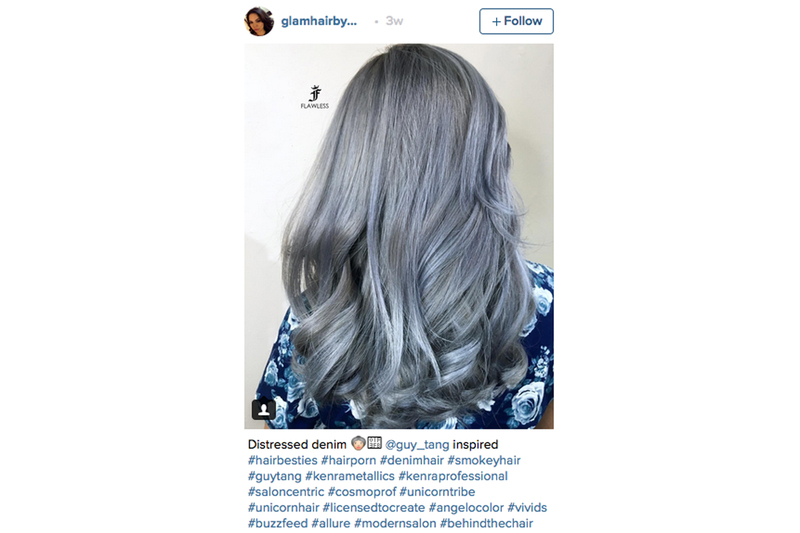 However, in practice denim hair can actually look incredible. Think a stormy sky blend of iridescent blues and smokey greys. It’s the latest dying trend to sweep top salons internationally and send the internet in to a state of hairy excitement. And the results we’ve seen so far indicate the look could have staying power. It packs all the positives of more traditional, natural-coloured ombres and dip-dyes because denim is endlessly versatile. It’s the new neutral. We’ve just decided. Remember Lea Seydoux as Emma in Blue Is The Warmest Colour? You know her hair looked great, and denim hair is a lot like that, but after the hair has been washed like 10 times: even sexier. 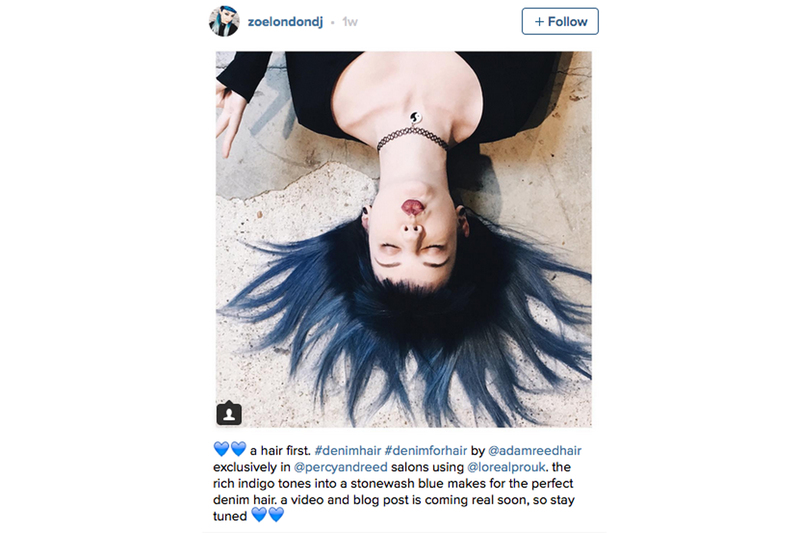 Denim hair can be subtle (seriously)– it’s not at all like the more punchy rainbow colour blocks that Lady Gaga (reddest red at the Grammy’s) and Katy Perry (all the colours, sometimes all at once) are often sporting. Not at all. Denim hair is actually very wearable. We repeat. Jeans go with everything. New style motto: do denim on denim on denim hair. 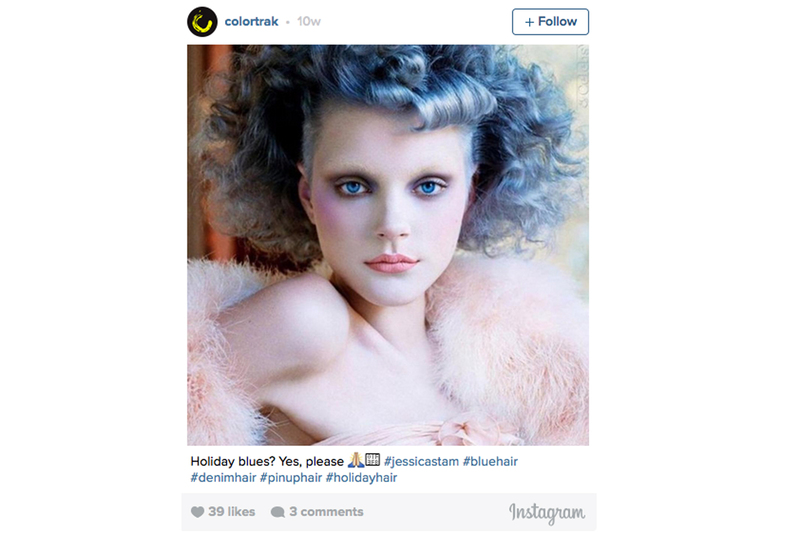 Jessica Stam’s denim curls are magic – supernatural/smokey wonderfullness. Is it grey, is it blue? No it’s denim. Denim hair. We’ve been through this. On Tuesdays we do icicle hair. You too? On tumbling long waves denim dye jobs scream Frozen. Become at one with the wind and sky.